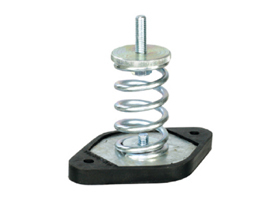 Vibro – MSV is an antivibration spring mount with viscous damping for increased vibration isolation and very low natural frequency. 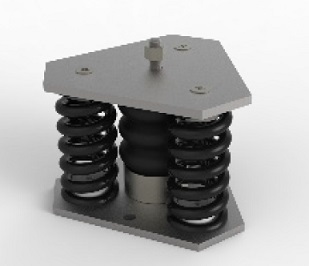 Vibro-MSV is an antivibration mount with multiple springs. It is specially designed to have low height and is very effective with low-frequency vibrations due to the viscous material. The elastic base acts as a sound break and increases the isolation efficiency in high frequencies, that could be transmitted through the springs. 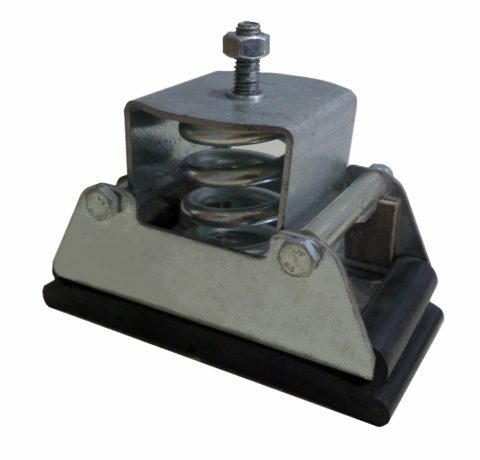 Vibro-MSV is used for vibration control of machinery mounting with low excitation frequency, with amplitude variation, due to varying speeds of rotating machines. 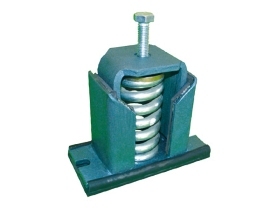 That is primarily used in HVAC, mechanical and industrial applications that require vibration isolation. This mount is specially designed to absorb low-frequency vibrations and restrict the excited motion and shock of perturbing vibrations at resonance point. 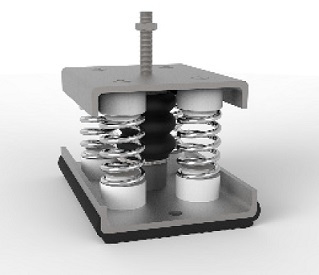 The springs are fixed with an innovative fastening system to their metal base. 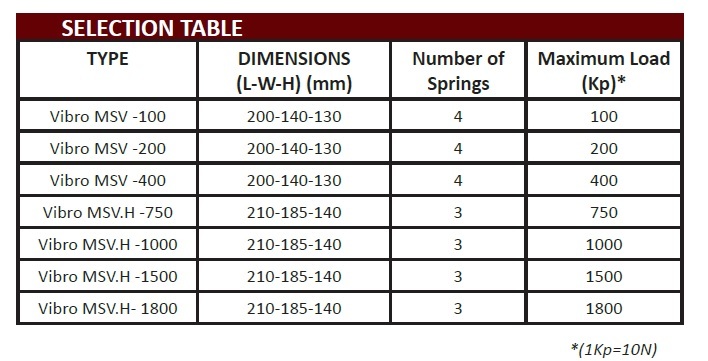 The silicone fluid, filled with the appropriate viscosity in different centistokes rate, can provide damping forces in all directions of freedom. 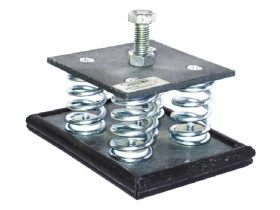 The rubber base (upon request) acts as a sound break and increases the isolation efficiency in high frequencies, that could be transmitted through the metal structure of the springs. Vibro-MSV.H is recommended for heavy loads.